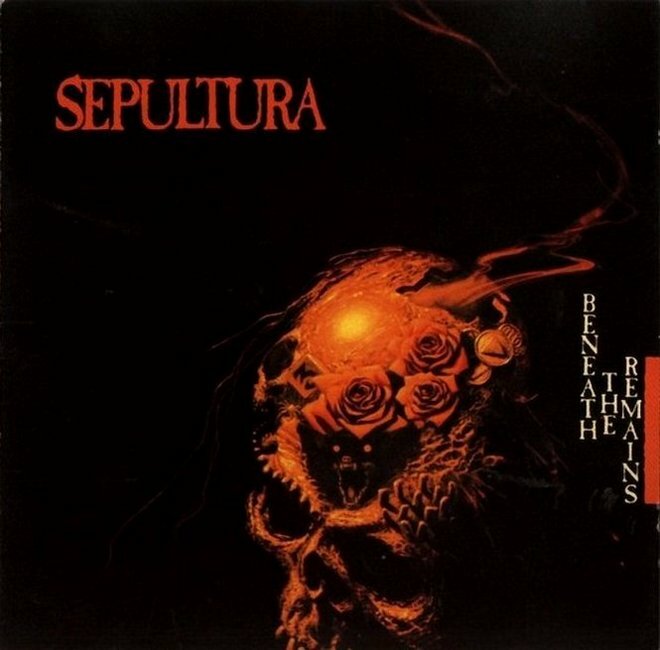 Sepultura's Beneath The Remains is full of power, speed and fury, stuck firmly in a single dimension. There is no arguing with the technical skill of the four boys from Brazil on their third studio album. But they are limited to the same tone, the same manic beats per minute, and the same key for all nine songs, which become effectively indistinguishable. Yes, there are excellent moments on each track, and just as equally, there are aimless and painfully amateurish segments on each track. Most unfortunately Sepultura does not display the maturity to play with, tease out, and develop strong unifying themes to stamp a unique personality on their song. They are too busy bashing away on their instruments as frantically as possible, with Max Cavalera spitting out the lyrics in a monotonous no-more-than-two-words-at-a-time delivery that never varies. The music is a bit dangerous, generally sharp, and for 1989, a bit ahead of its time. It's just not very interesting. Mixed by Scott Burns, Tom Morris and Max Cavalera.